The government is holding talks with states such as Karnataka, Tamil Nadu and Gujarat, which are providing cashless health insurance. After providing life cover and accident cover, the government is now working on a universal health insurance plan. To begin with, it will provide a seamless solution to the existing cashless health schemes in states by integrating those with the Centre’s direct benefits transfer platform. Later, these would be scaled up. “Encouraged by the success of the social security schemes launched earlier this year, we are now looking at products in the health insurance sector by ensuring access. "We are discussing it with states,” said a government official who did not wish to be named. The idea is to provide their schemes through the DBT platform. “We are building a DBT platform. Under that, we will provide SMS and phone call notifications on money transfers. Besides, we are building a web or smartphone app. "Once the architecture is ready, we load health insurance on to it,” said the official. The health insurance application would be put up on this platform which would facilitate a move towards a completely cashless digital economy, he added. The states will be asked to tap the Centre’s JAM trinity (Jan Dhan, Aadhaar and mobiles) and the subsidy payment platform. Aadhaar will help in direct biometric identification of targeted citizens, and Jan Dhan bank accounts and mobile phones will help in direct transfer of funds, cutting out all intermediaries. The public financial management system and National Payments Corporation of India will help with disbursement of health subsidies under DBT. 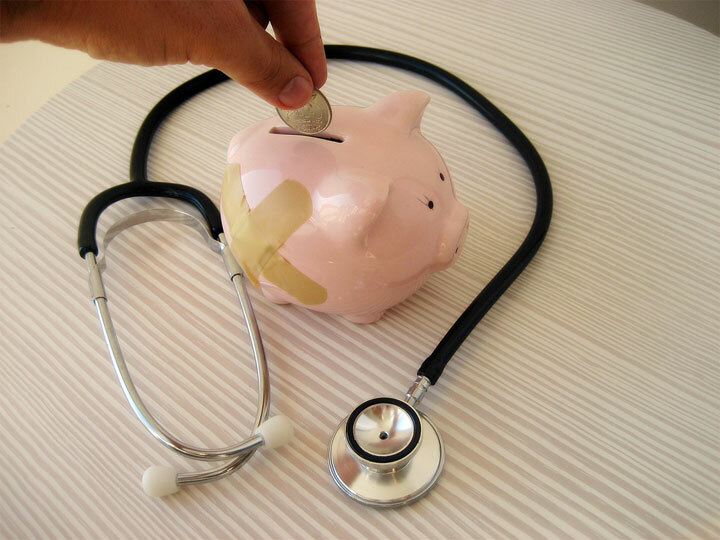 “Many states are providing cashless health insurance. "If they give us the list of beneficiaries, they could plug into the DBT platform; that will facilitate accessibility and payment,” said the official quoted earlier. Tamil Nadu, for instance, provides the Chief Minister’s Comprehensive Health Insurance Scheme through United India Insurance Company for people from the low income group, and New Health Insurance Scheme for cashless treatment of state government employees. Karnataka has its Yeshasvini Health Insurance Scheme, covering both rural and urban population, mainly targeting farmers and labourers. The state also offers Jyothi Sanjeevini Scheme, a health insurance cover for government employees. The Rajasthan government recently launched a cashless health insurance scheme to cover over 10 million people by tying up with New India Insurance. Similarly, Punjab last month unveiled a compulsory health insurance scheme for all government employees and pensioners. Over 190 million bank accounts have been opened under the Pradhan Mantri Jan Dhan Yojana; these have deposits of more than Rs 26,819 crore (Rs 268.19 billion). Direct transfer of LPG subsidy of more than Rs 17,446 crore (Rs 174.46 billion) has been made into Jan Dhan accounts from November 2014 to July 2015. The government already provides life and accident cover to people. It has sold over 20 million Jan Suraksha covers under the Pradhan Mantri Suraksha BimaYojana and Pradhan Mantri Jeevan Jyoti BimaYojana.